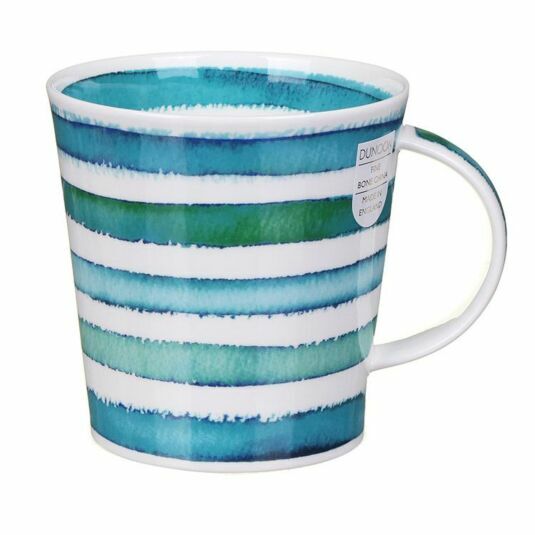 This wonderfully arty mug features a watercolour stripe design by Caroline Bessey, with the paint in shades of turquoise. The pattern fills the height of the mug, along with the design running along inside rim and on the handle. Make a bold statement in your kitchen with this lively mug!